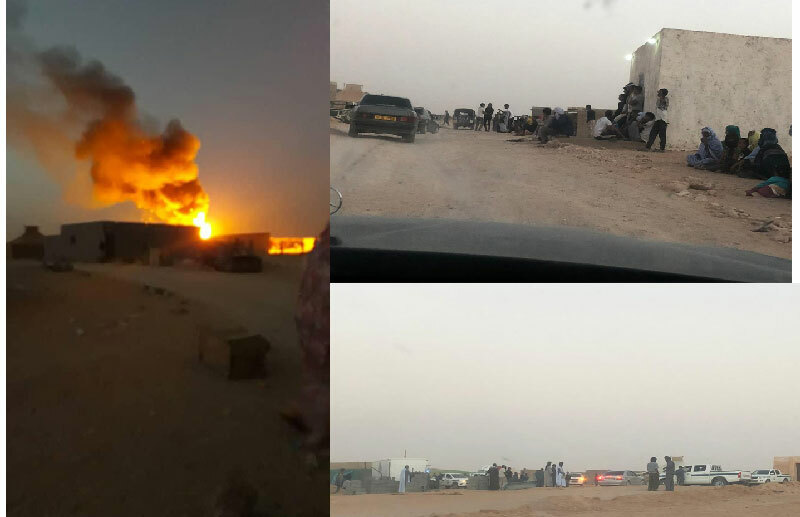 Violent clashes between members of two Sahrawi tribes flared up in the night from Friday to Saturday, in one of the Tindouf camps called “Smara”, that resulted in serious damage including a number of tents that were burned in Al Farissia. According to concordant sources and videos relayed on social networks, bloody clashes opposed two families of the Oulad Moussa tribe and the Oulad Lahcen Ohmad tribe who are fighting over the ownership of a plot of land that was sold to them, without any document, by Algerian authorities. Elements of the two families set fire to tents at Al Farissia.The flames could be seen from a distance, as shown in videos posted on social media. Given the extent of these clashes, the elements of the Algerian police and gendarmerie assigned to the “Rabouni”, “Aousserd” and “Laayoune” camps were dispatched to the scene to the rescue of the Polisario militiamen who had trouble restoring calm. However, despite the intervention of the Algerian security services alongside Polisario armed militia, the situation remains tense and may get worse at any time, if other members of the two tribes decide to interfere in the brawls. The Rabouni camp, which is hosting the Polisario headquarters, has been shaken for several weeks by protests, marches and sit-ins by hundreds of Sahrawis, denouncing the restrictive measures to the freedom of movement decreed by the Algerian supervisory authorities. The measures were imposed at the start, on February 22, of the popular demonstrations against the regime in place in Algiers. According to reliable sources in Rabouni, the situation is only getting worse in the Tindouf camps because of the failure of the Polisario leadership to provide satisfactory answers to the daily grievances of the population.